Zinc chromate, ZnCrO4, is a chemical compound containing the chromate anion, appearing as odorless yellow powder or yellow-green crystals, but, when used for coatings, pigments are often added. It is used industrially in chromate conversion coatings, having been developed by the Ford Motor Company in the 1920s. A process known as the Cronak process is used to create zinc chromate for use in industry. This process is done by putting zinc or a zinc plated metal in a solution of sodium dichromate and sulfuric acid for a few seconds. Zinc chromate can also be synthesized by using neutral potassium chromate (K2CrO4) and zinc sulfate (ZnSO4), which forms a precipitate. Zinc chromate’s main use is in industrial painting as a coating over iron or aluminum materials. It was used extensively on aircraft by the US military, especially during the 1930s and 1940s. It is also used in a variety of paint coatings for the aerospace and automotive industries. Its use as a corrosion-resistant agent was applied to aluminium alloy parts first in commercial aircraft, and then in military ones. 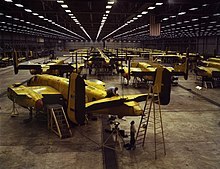 During the 1940 and 1950s it was typically found as the "paint" in the wheel wells of retractable landing gear on US military aircraft to protect the aluminium from corrosion. This compound was a useful coating because it is an anti-corrosive and anti-rust primer. Since it is highly toxic, it also destroys organic growth on the surface. Zinc chromate is also used in spray paints, artists’ paints, pigments in varnishes, and in making linoleum. When used as a pigment, it is known as Zinc Yellow, Buttercup Yellow or Yellow 36. It is rarely used in art because the pigment degenerates into a brown color. This effect can be seen in Georges Seurat's famous painting A Sunday Afternoon on the Island of La Grande Jatte. The degradation of zinc yellow in Seurat's painting was thoroughly investigated and these findings were subsequently employed in a digital rejuvenation of the painting. Zinc chromate putty was used as sealant in addition to two O-rings between sections of the failed solid rocket booster on Space Shuttle Challenger. Blowholes in this putty may have been a minor contributor to its catastrophic loss. Recent studies have shown that not only is zinc chromate highly toxic, it is also a carcinogen. Exposure to zinc chromate can cause tissue ulceration and cancer. A study published in the British Journal of Industrial Medicine showed a significant correlation between the use of zinc chromate and lead chromate in factories and the number of cases in lung cancer experienced by the workers. Because of its toxicity the use of zinc chromate has greatly diminished in recent years. ^ a b "OHSA Chemical Sampling Information for Zinc Chromate". Occupational Safety and Health Administration. Retrieved 24 March 2011. ^ a b National Oceanic and Atmospheric Administration. "ZINC CHROMATE - CAMEO Chemicals". Retrieved 24 March 2011. ^ a b "OHSA Guideline for Zinc Chromate". Occupational Safety and Health Administration. Retrieved 24 March 2011. ^ Richard P. Pohanish (9 February 2004). HazMat data: for first response, transportation, storage, and security. John Wiley and Sons. p. 1155. ISBN 978-0-471-27328-8. Retrieved 24 March 2011. ^ a b Waligorski, Martin. "Everything You Need to Know About Zinc Chromate". Retrieved 23 March 2011. ^ "What is Zinc Chromate Used For". innovateus. Retrieved 11 December 2014. ^ Paint and Coating Testing Manual. Philadelphia, PA: American Society for Testing and Materials. 1995. p. 241. ^ a b Tencer, Michal (30 September 2006). "Electrical conductivity of chromate conversion coating on electrodeposited zinc". Applied Surface Science. 252 (23): 8229–8234. doi:10.1016/j.apsusc.2005.10.039. ^ Hall, A.F. (1944). "Occupational contact dermatitis among aircraft workers". American Journal of Medicine. 125. ^ "Basic Zinc Chromate". Chemical Land21. Retrieved 24 March 2011. ^ Gage, John (1993). Color and Culture: Practice and Meaning from Antiquity to Abstraction. Boston: Little, Brown. pp. 220, 224. .
^ J.A. Hickman (1997). Polymeric Seals and Sealing Technology. iSmithers Rapra Publishing. p. 25. ISBN 978-1-85957-096-8. Retrieved 24 March 2011. ^ Holmes, A.L. (15 February 2011). "Chronic exposure to zinc chromate induces centrosome amplification and spindle assembly checkpoint bypass in human lung fibroblasts". Chemical Research in Toxicology. 23 (2): 386–395. doi:10.1021/tx900360w. PMC 2822114. PMID 20030412. ^ Davies, J.M. (May 1984). "Lung cancer mortality among workers making lead chromate and zinc chromate pigments at three English factories". British Journal of Industrial Medicine (41): 158–169. This page was last edited on 25 August 2018, at 04:07 (UTC).